We know planning your special day can be a daunting task - with our stunning event spaces, excellent event planners and attention to detail, the Georgian Court Hotel is ideal for an intimate wedding reception. Envision the ultimate romantic day and begin your story together at our luxury wedding venue. 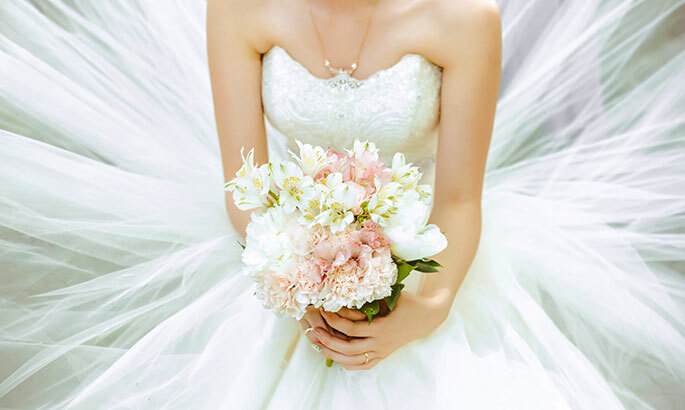 Our dedicated onsite team will make your big day stress-free and memorable. Start planning your wedding today. 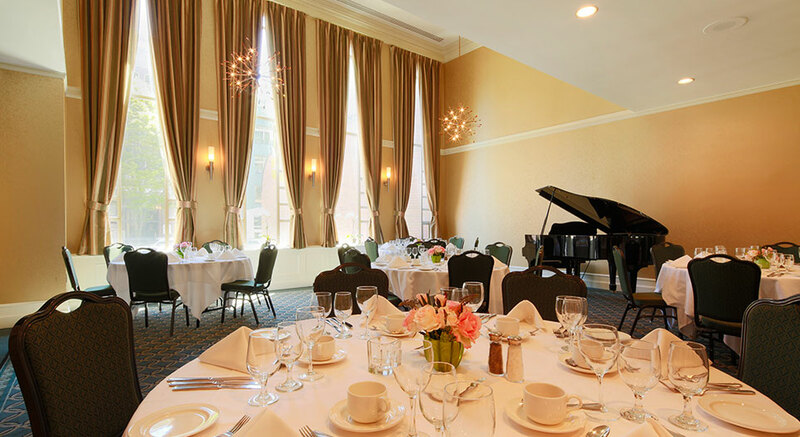 Featuring airy, sunlit rooms, timeless style, a full bar, and a baby grand piano, the romantic Club Room at the Georgian Court Hotel is an unforgettable venue for your wedding that’s as unique as your romance. With four elegant meeting rooms and conference facilities, including the Boardroom, the Cellar, the Club Room and the Mezzanine Terrace, the Georgian Court Hotel can accommodate everything from small, intimate gatherings to cocktail receptions. 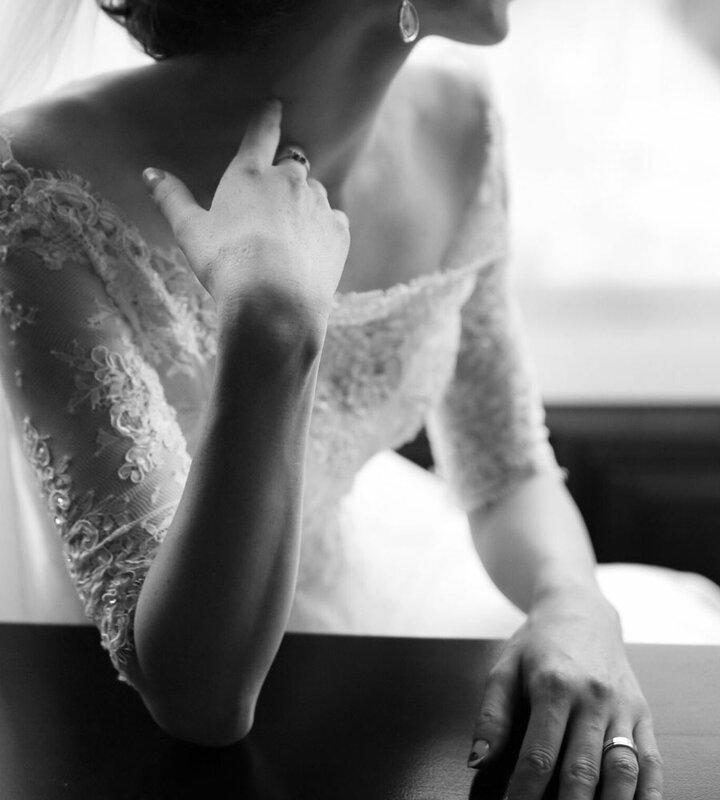 Whether the dream is an intimate family-oriented ceremony or a glittering evening of cocktails and music, we will create a flawless day tailored to your vision. Our Club Room can host up to 50 guests for a seated banquet or 100 guests for a standing cocktail reception. View our other event spaces for the style that’s right for you. Make your wedding menu a memorable element of your day. 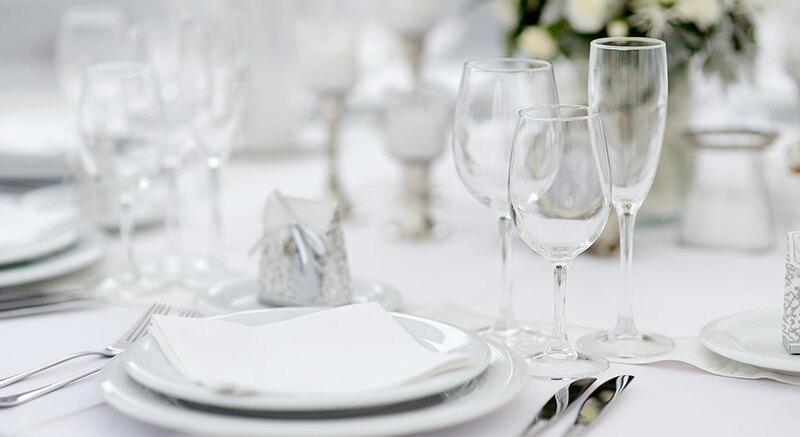 Our Catering team can work with you to build a menu based on your budget, service needs, and unique style, including accommodations for dietary restrictions. Contact us at catering@georgiancourt.com or by phone at (604) 609-2215 to book your event today. 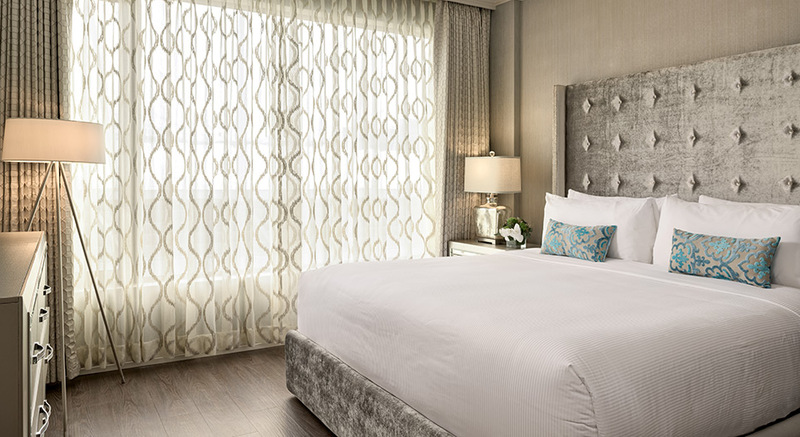 Give your guests the luxury of a premier boutique hotel in Vancouver, BC. 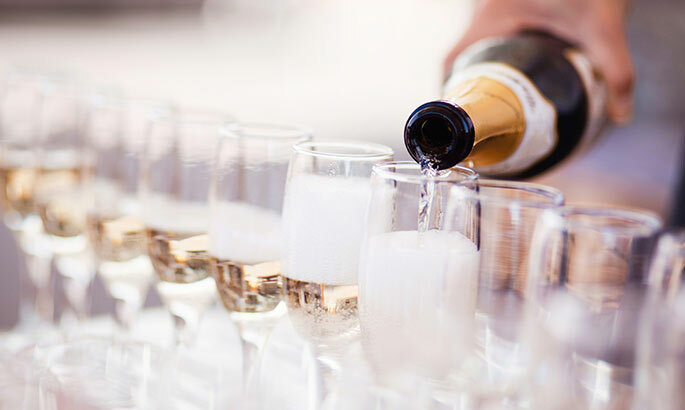 Whether your wedding is happening on-site or you need a place for relaxation after the excitement of the day, the Georgian Court is a romantic and convenient choice. Our suites, hot tub, steam room and extra touches will help reduce stress and increase bliss on your most important day. Relax in our newly renovated guest rooms and suites, and melt your stress away.